The week just passed has seen quite a bit of controversy (some of which I’ve participated in) over Bob Dylan’s Nobel Prize for Literature win. My personal favourite was the Tweeter who seemed confused over which Nobel Dylan won and felt prompted to say that, as good as it was that Dylan had won a Nobel Peace Prize, “the dude that has always given me peace is Leonard Cohen”. But amidst the debate I’ve been reminded of all the wonderful but still largely unknown, or largely forgotten, authors that have won the prize over the years. In light of this, here are five Laureates for the Nobel Prize for Literature that you’ve never heard of but should have. 1. Grazia Deledda (winner 1926): Italian novelist, one of only fourteen women to have won the prize. Check out the delicate and heart-rending Church of Solitude, an amazing reflection on faith and duty, as well as a (surprisingly for its time) moving portrayal of a woman with breast cancer. 2. Frans Eemil Sillanpää (winner 1939): the only Finnish writer to win (compare with the 8 won by their immediate neighbour Sweden, the home country to the award). Read Meek Heritage, if you can get your hands on a copy. I was spellbound from the first sentence. You know from the start that it’ll break you heart but you’ll want to finish all the same. I’m currently floating through the delicate and lovely People in the Summer Night, which is a free online read here. 3. François Mauriac (winner 1952): one of the best writers of faith of the 20th century. The Nobel list is overly full of male French novelists, but Mauriac deserves his place. Read Precedence and That Which Was Lost. Read anything by him, actually. He doesn’t shy away from human brokenness but always opens us into grace. 4. Halldór Laxness (winner 1955): the only Icelandic author to win. Icelandic village life never felt more real. He can paint the unique and the universal with the same poetic intimacy. Read Fish Can Sing and Independent People. The former is charming, the latter slow and heartbreaking. You won’t read many things more beautifully written than either. 5. Joseph Brodsky (winner 1987): Russian poet who moved to the United States. He and W.H. Auden had something of a mutual admiration society going, which says a lot. Though Auden strangely missed out on a Nobel, he earned fame. Brodsky won the Nobel but far fewer know him. Read his “Nunc Dimittis” as an introduction to his wonderful work. I really need to read him more. 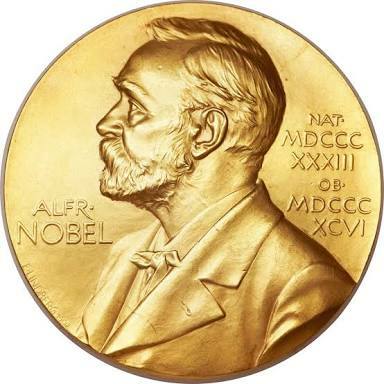 It’s a challenge to locate work by all the writers on the Nobel list, though well worth the effort. Perhaps a list that contains historians, journalists, philosophers and politicians alongside novelists, playwrights and poets has room too for a songwriter. The best thing you can do is to discover the list yourself and make your own decision.